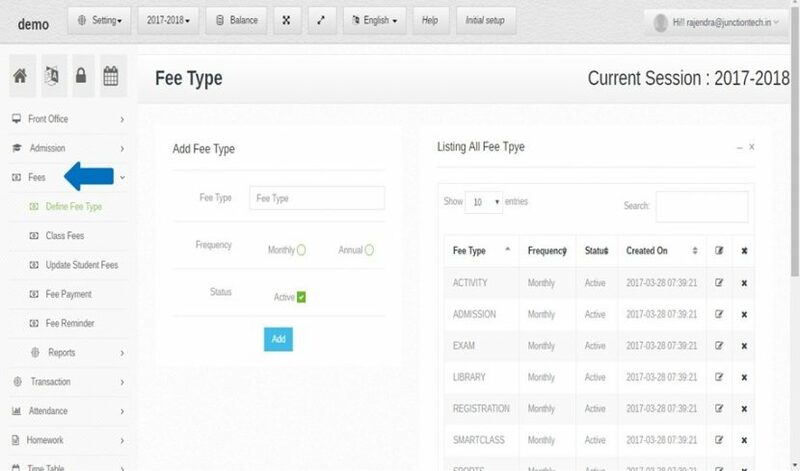 Step:1st -Fee management software module includes features like define fee type , class fees, update student fees ,fee payment etc . In Fee management software module manage student fee and generate student fee receipt etc . Step:3rd - Listing all fee type then search any fee type please enter fee type value in search box and click enter button . you have to edit and update fee type please click edit button and update fee type value . 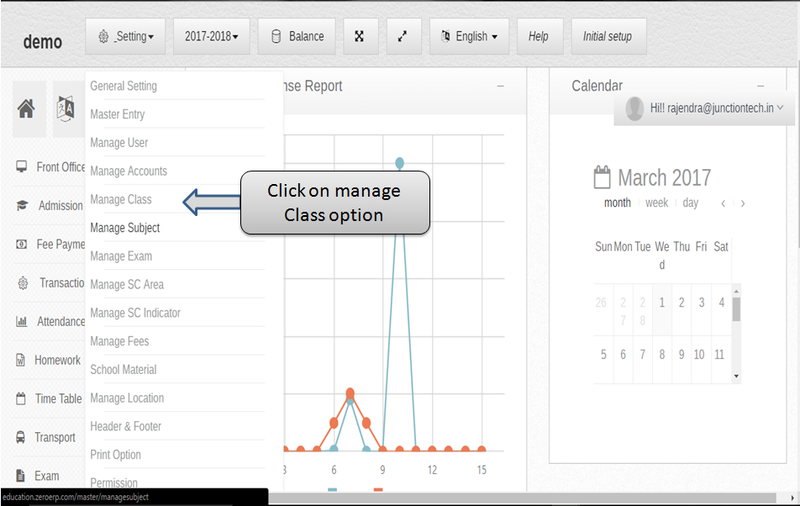 Step:4th - Create manage class now you have to click setting button then select manage class option . 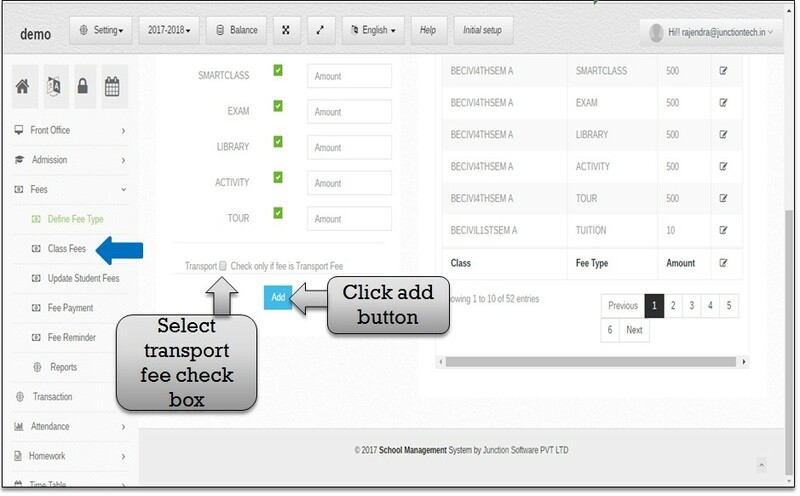 Step:5th - In Fee management software enter class please enter class name and press save button . then new class add in school successfully . 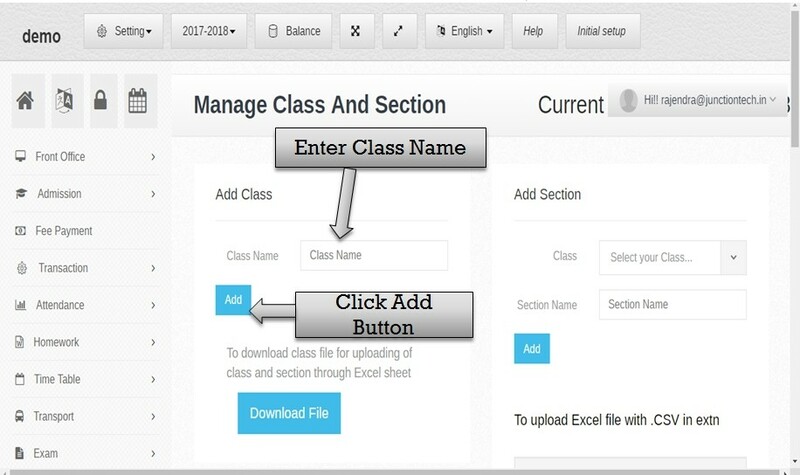 Step:6th - Listing all class name now you have to search any class name please enter class name in search box then click enter button .if in case you have to change class please click edit button then enter new class name . 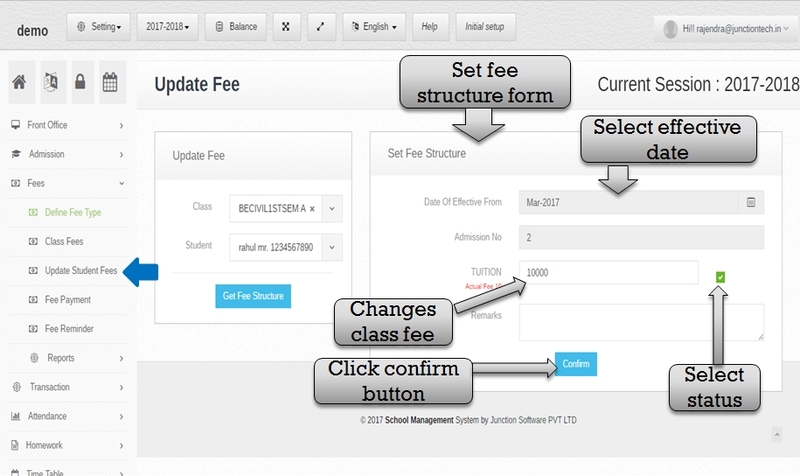 Step:7th - You have to create class fees then select class fees option . 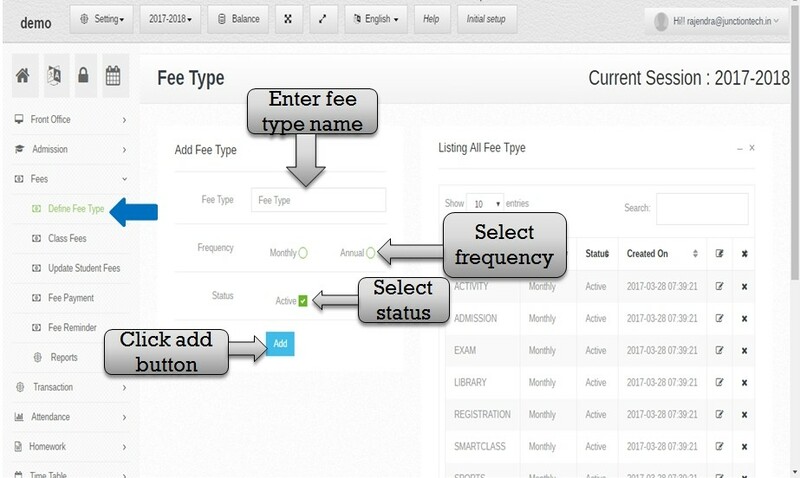 first you have to enter class name then enter fee type amount and select fee status and click add button . Step:8th - Now you have to create transport please select transport check box . Now open transport fee structure . 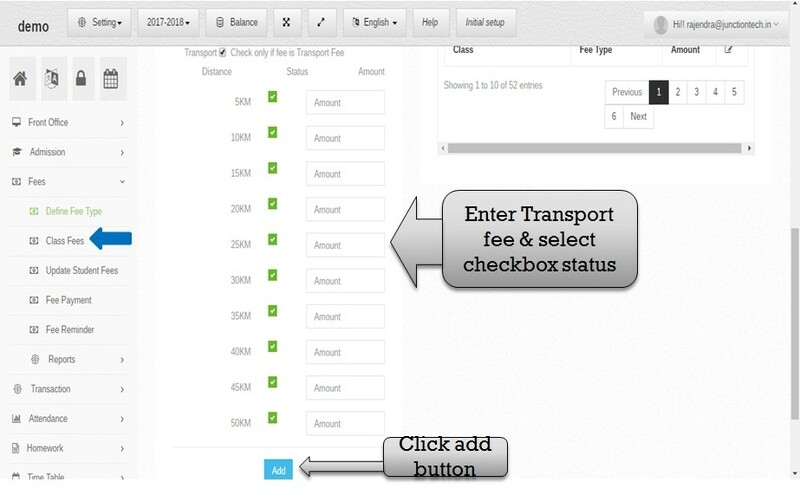 Step:9th - Enter transport amount in amount box then select transport fee status and click add button then transport fee save successfully . 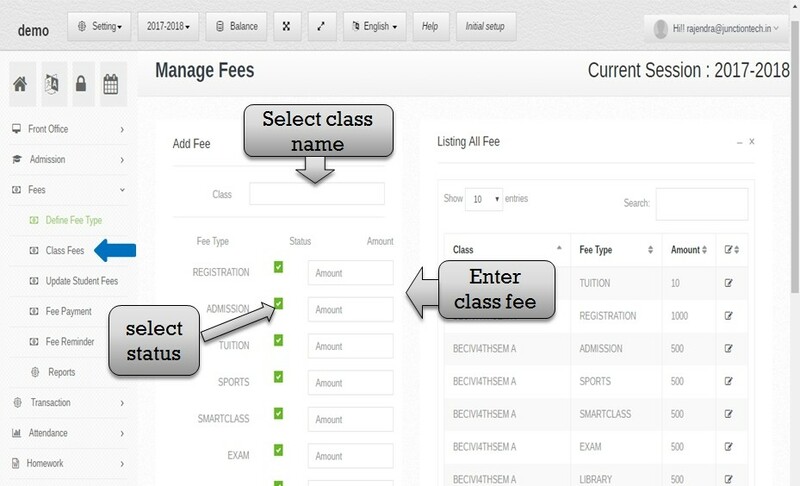 Step:10th -Listing all class fee then you have to search any class fee please enter class name in search box then click enter button .if in case you have to change any class name ,fee type and fee amount please click edit button . Step:11th - You have to update student and class fee please select update student fees option . 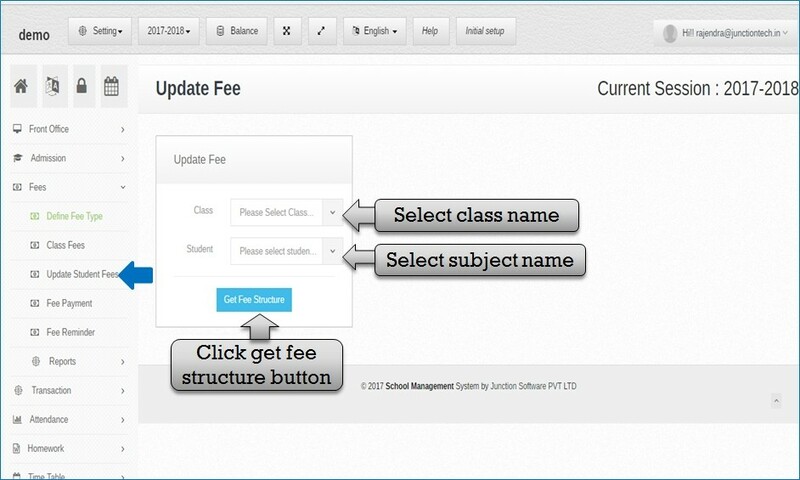 select class name and student name and click get fee structure button then open set fee structure form . Step:12th - Set fee structure please select effective date , change fee and select fee status check box click confirm button student fee update successfully. 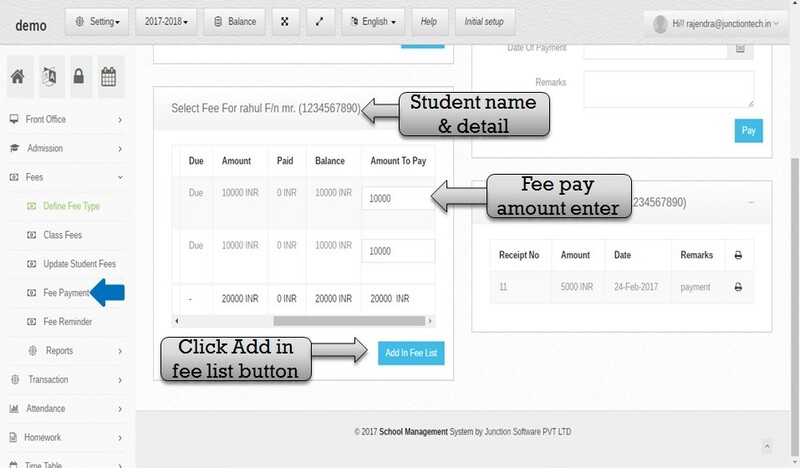 Step:13th - You have to pay student school fees please click fee payment option . 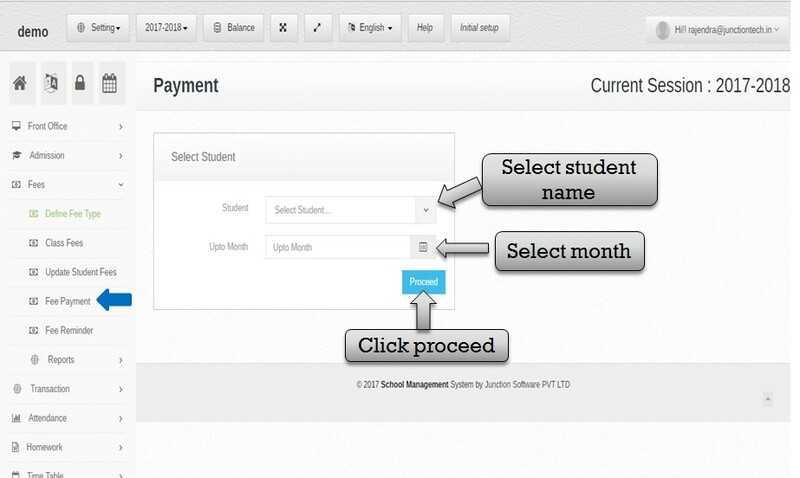 please select student name and month click proceed button then open student fee due and paid amount list . Step:14th - Listing student all fee detail like due amount , paid amount , balance amount . 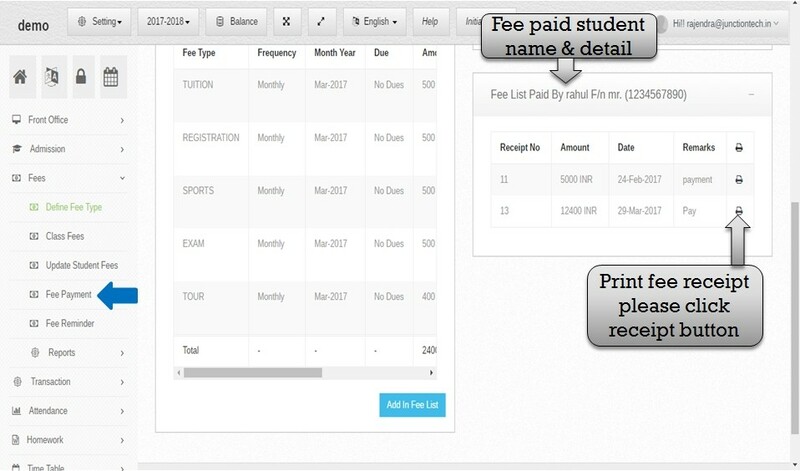 you have to pay student fee please enter fee amount in amount to pay box then click add in fee list button . 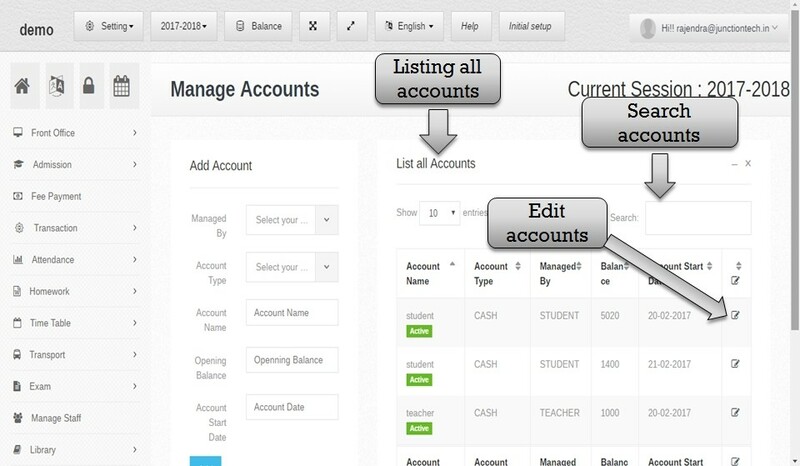 Step:15th -Now you have to create Account please click setting button and select manage accounts option then create manage account . 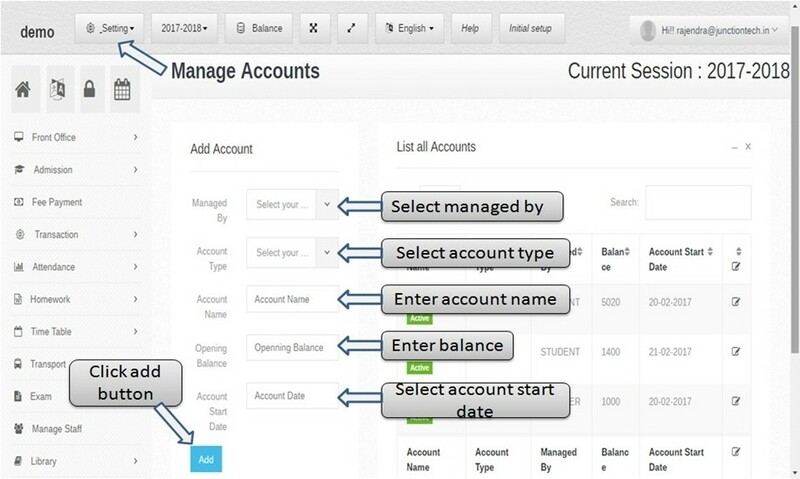 Step:16th -Add new account please select manage by , account type ,account name , opening balance and account start date then click add button and manage account create successfully . 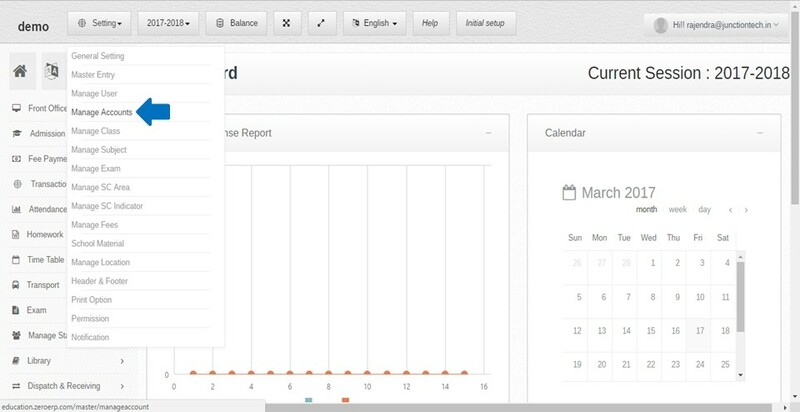 Step:17th -Listing all manage accounts then you have to search any account name please enter account name in search box and click enter button . if in case you have to change account detail please click edit button then change account detail and click add button account detail update successfully save . 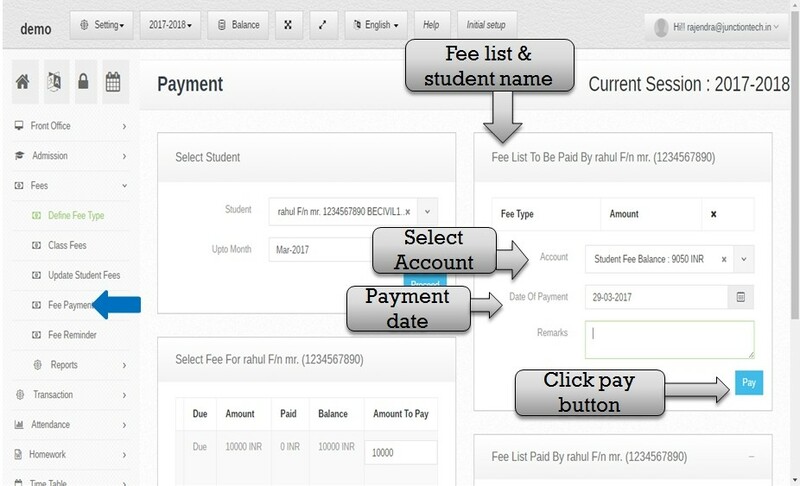 Step:18th - Student fee list added then you have to select account name and date of payment then click pay button student school fee pay successfully . Step:19th - You have to see school fee paid student list then you have to generate school fee receipt please click print option then School fee receipt generated . Step:20th - Student school fee receipt . Step:21th - You have to create fee reminder so please click fee reminder option . 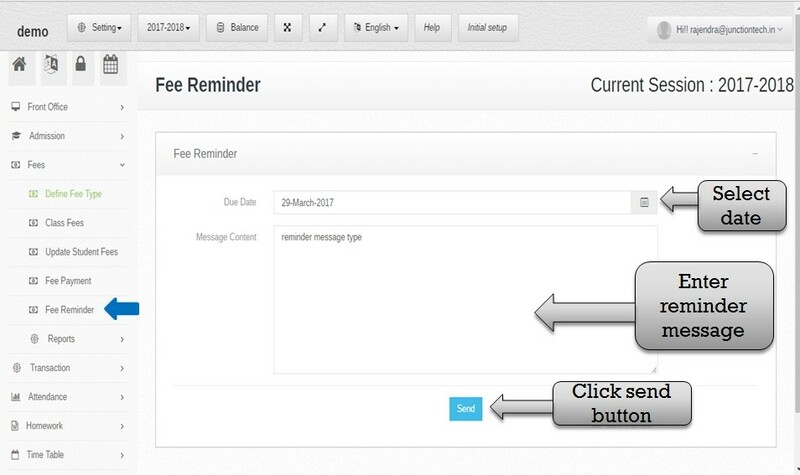 add new fee reminder please select fee reminder date and enter reminder message then click send button .fee reminder save successfully . 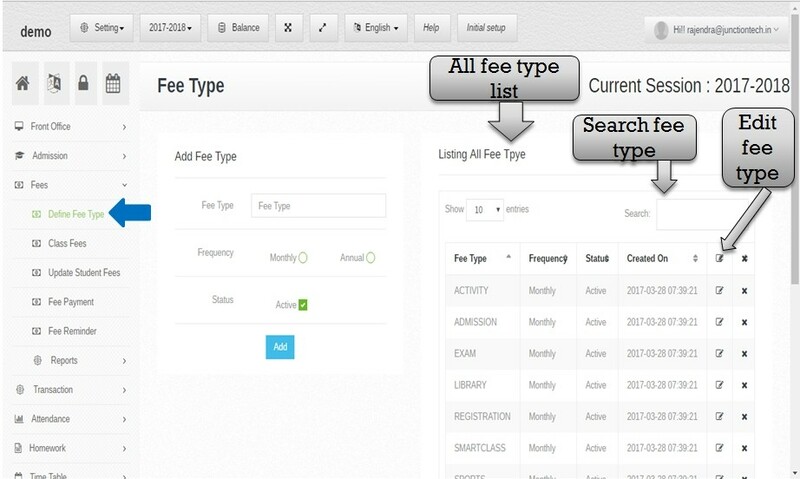 Step :22th -You have to see due & paid fee list please click FeeDue&Paid List option . 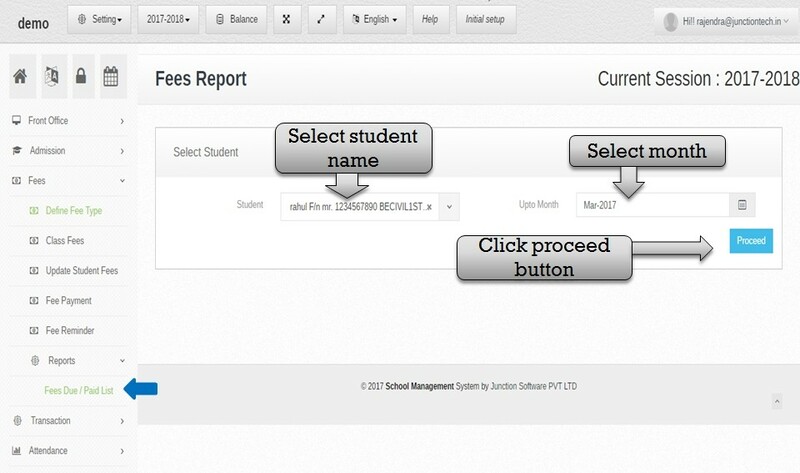 select student name & month then click proceed button student fee report list display . 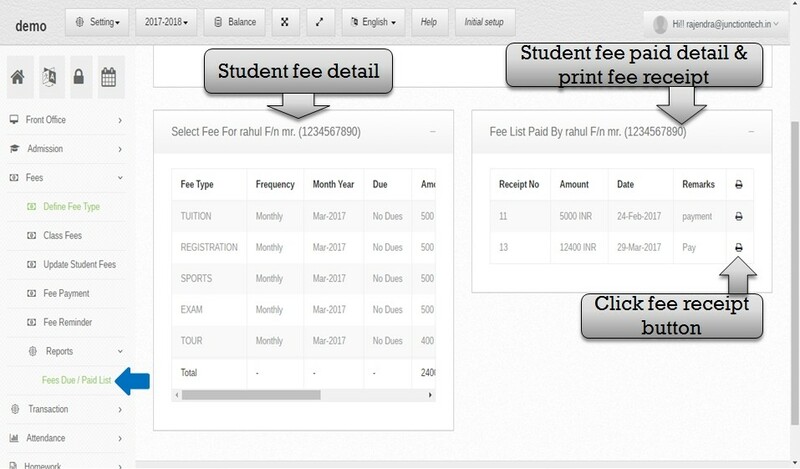 Step :23th -All Student fee detail show like fee type , due amount , paid amount , balance amount etc . 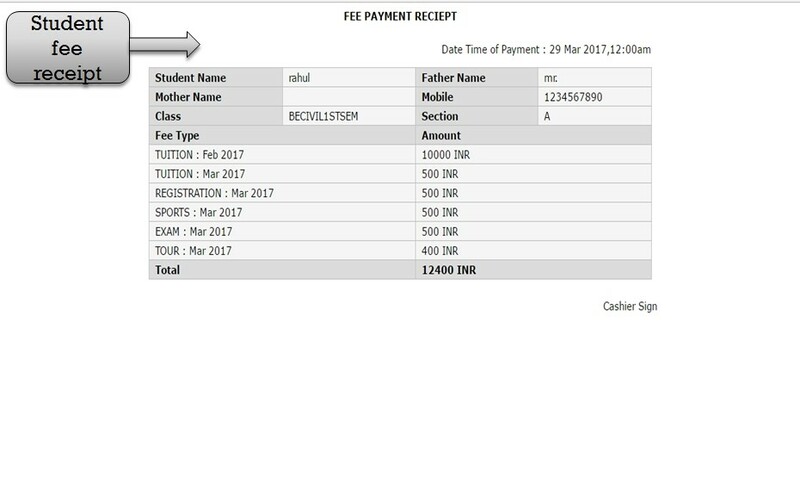 then school fee paid student list show you have to see school fee receipt please click fee receipt button . Step :24th -Student School fee receipt generate successfully .